Building a TEAM to accomplish our DREAMS in 2013! This is it folks! I really feel like this is the year for me to really focus on my career and doing the things I love. I’m working extra hard to get myself organized and build a team so we can hit the ground running. Moving the Blog – Due to WordPress.com’s ridiculous affiliate policy we will be moving the blog to Worpress.org which may require those of you who are subscribed by email to re-subscribe. Developing Dynamite Editorials as a production company specializing in educational group photography focused on fashion editorials. 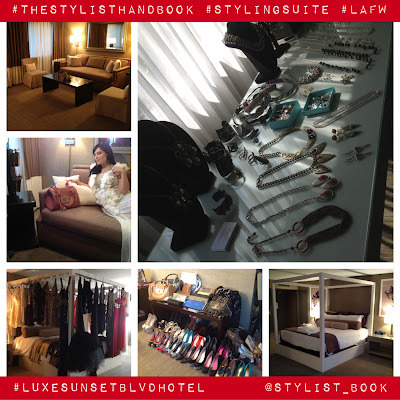 Producing Styling Suites with The Stylist Handbook. Check out my article about the last one we did here. Getting more of my work published in The Stylist Handbook as well as other magazines. Working on more fashion productions such as: Music Videos, Photo Shoots, Fashion Shows, and Fashion Parties. Then sharing my experiences with you all right here on the blog. Learning along the way – As many of you know, I’m attending college as well as being mentored by Editor In Chief of The Stylist Handbook, Devon Poer. I am one of those people that firmly believes in educating yourself and making learning a life long endeavor. I vow to never stop learning. Nail Art Blogger who would like to also attend our photo shoots and paint our model’s nails. This person will get some great pics of their work for their blog! Accessories Blogger. Someone who wants to develop relationships with jewelry, handbags, and accessory designers and bring their items to our photo shoots. Beauty Blogger who wants to learn how to develop affiliate relationships with cosmetics companies and have a weekly column on the blog. Shoe Blogger who wants to develop relationships with designers and transport their shoes to our photo shoots. Style Bloggers wishing to collaborate on editorial photo shoots. DIY Bloggers who would like to help create decorations and props for our photo shoots. They would coordinate craft parties and feature their DIY’s in their blogs. Location Scouts who can help with obtaining permits and finding good sources for locations. Photography Leaders who can organize, give advice, and instruct a group of photographers. Social Media Socialites who want to capture behind the scenes photos for immediate posting to social media. With a degree in Fashion Merchandising and a Certificate of Specialization in Marketing, Tauna has been published in multiple magazines for her editorial work in fashion writing and styling. Her love of fashion was expressed through experimenting with dress in her early years leading to modeling opportunities where she eventually discovered the career of fashion styling. Her ability to pair the right outfit within the right setting led to an expansion into interior and prop styling. Together with her husband, Dewayne Carson, they are a dynamite production styling team that offers full styling services including food and product styling, as well as set design. I am very interested in becoming your beauty blogger. I am in school at Paul Mitchell to obtain my cosmetology license and have a great deal of access to cosmetics companies as well as other beauty product manufacturers. Please let me know what I need to do to interview or be considered for the role. Subscribe to get posts in your inbox! Letter: Merry Christmas from TNT Tauna & Team! DIY Love From the Runways! Keeping up with my present & future missions trips. Creating a Voice for Talent!